Eating a healthy and well-balanced diet provides the body with most vitamins and nutrients needed to sustain adequate functions. However, young adults face a variety of life challenges, from completing college to starting first jobs and building lasting relationships. Managing the new daily responsibilities can often take precedence over eating well-balanced meals. Vitamin supplements are necessary when healthy eating does not occur. Vitamins and minerals improve the immune system, support normal body development and maintain the internal organs. There are eight B vitamins, important for young adults, in regulating nerve functions, sustaining brain activity to focus on work or school and maintaining energy to stay involved in daily activities. Folic acid, or folate, is especially important for young women who are considering pregnancy. The Harvard School of Public Health notes that taking folate significantly reduces the chance of prenatal birth defects, such as spina bifida. The critical time frame for taking folate is within the first two weeks after conception, typically before a woman knows she is pregnant. Folate is generally found in prenatal vitamins or in multivitamins. Women are suggested to take at least 400 micrograms of folate a day if considering pregnancy. A good way to get all B vitamins daily is to supplement with a B complex, which contains the essential daily recommended allowance. Iron is a mineral important for carrying oxygen in the hemoglobin of the red blood cells to sustain energy and remove carbon dioxide from the body, notes the American Dietetic Association. Iron is generally supplied by foods such as red meats, poultry and spinach. For iron to successfully absorb in the body, vitamin C is required as well. Vitamin C is water-soluble, meaning that the body only uses what it needs, then eliminates the excess. Taking a daily vitamin C supplement is necessary to get adequate nutrition and maintain proper iron absorption. Vitamin C is found in citrus, broccoli and greens. However, a supplement is often needed when enough vitamin C is not eaten through foods. Women over 20 years old are suggested to take 75 milligrams a day, and men are suggested to take 90 milligrams of vitamin C a day. By the 20s, bones are near full skeletal mass; however, as an individual ages, bone mass declines. 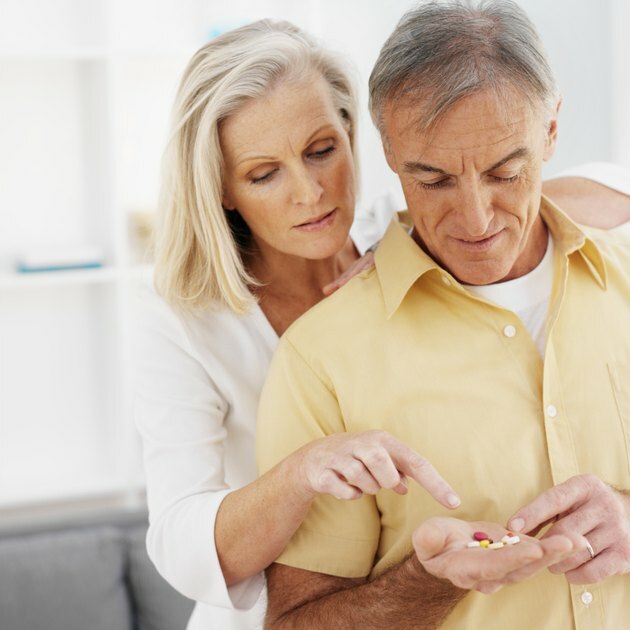 Starting a calcium supplement in the 20s is important for both men and women to maintain strength and prevent later development of osteoporosis, says the Centers for Disease Control and Prevention. Vitamin D is an important part of the process of protecting bones, because this vitamin's main function is to maintain normal blood levels of calcium and phosphorus for bone health. Vitamin D is found in some foods such as fortified milk, eggs and fish. However, the most prominent source of vitamin D comes from sun exposure. Ultraviolet rays aid the body in synthesizing vitamin D through the skin, which is enough to further the absorption of calcium. Ten minutes of sun exposure three times a week is optimal. An alternative is taking a multivitamin with vitamin D at 5 micrograms a day.